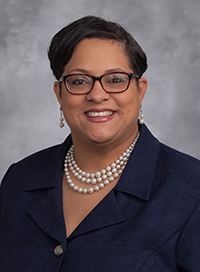 I joined Duke in 2014 and currently work as the Human Resources Manager responsible for directing the activities of the Duke University School of Medicine Human Resources Service Center. I manage and coordinate the personnel activities of a complex Shared Services Center to include payroll, recruitment, classification and salary administration, visa coordination, FMLA/PLOA, interpretation of personnel policies and employee relations functions to assist departments in meeting their human resources needs. Before Joining the School of Medicine team I was the Human Resources Manager for the Department of Pathology and a Senior Human Resources Representative for Staff and Labor Relations. I have over 20 years experience as a human resources professional particularly knowledgeable in the areas of: employee relations, payroll, talent management, full-cycle talent recruitment, health benefits administration and coordination, leaves of absence administration, project management, performance management, onboarding, training, salary administration and compensation. I received an undergraduate degree in Sociology from Francis Marion University and a master's degree in Public Administration from North Carolina Central University.